Wishing Star Park 40-hectacre lake recreation area at Shanghai Disney Resort; opened June 16, 2016. 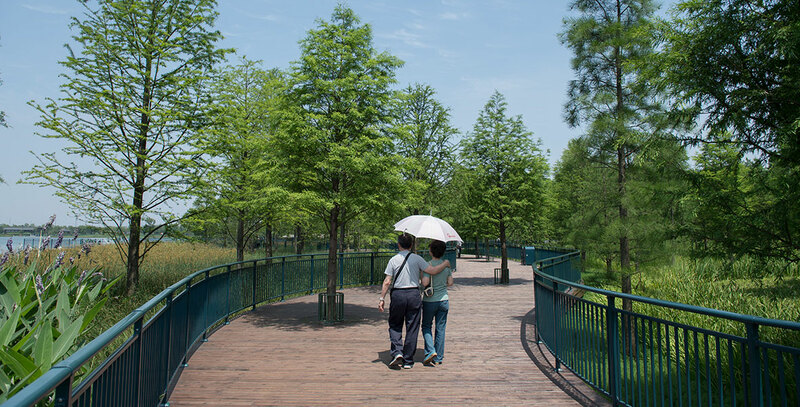 Along a 2.5-kilometer walking path, guests can explore woodlands, gardens, and a colorful space featuring tile birds and butterflies. The park also features the Dragonfly Playground and Starlight Amphitheater. Wishing Star Ferry provides an exclusive transportation option across the lake for the guests of Shanghai Disneyland Hotel.